Last updated on April 18th, 2018. Every once in a while when I go food shopping I like to get a totally new to me ingredient and try cooking with it. I usually don’t have a plan for what I am going to do with it – I figure the internet can help me out with that. Sometimes if the vegetable is totally obscure, even the checkout people ask me what I plan on doing with it. It always feels a bit awkward to admit that I don’t know yet. Oh well! Recently, I picked up some okra. Okra might not be too exotic or obscure, but I have never cooked with it before. I’ve definitely had okra before – in gumbo (yum! ), and at a cafeteria buffet (not so yum), so I was curious to see if I can make something delicious out of it. I knew from the cafeteria okra that it can get really slimy and kind of gross, so I turned to the internet to see if I can avoid that. 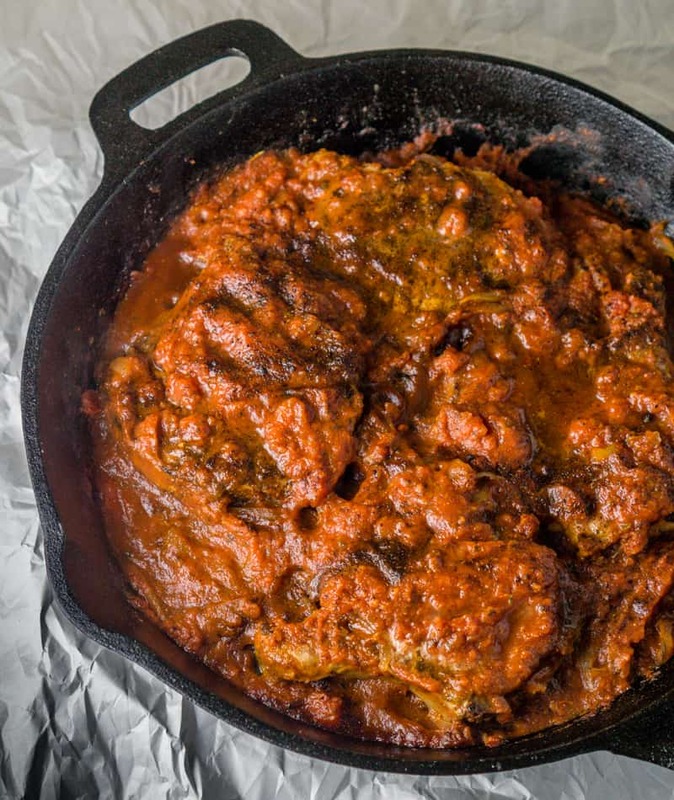 Obviously, it’s not a big deal if okra is slimy in a gumbo because you won’t feel the slime, but if you want to enjoy okra on its own you really want to reduce the sliminess. Get younger, small okra instead of older, larger pods. Soak the okra in a 1:1 solution of water:vinegar for 30 minutes before cutting. Let the okra dry completely before cutting. Let the okra come to room temperature before cutting it. 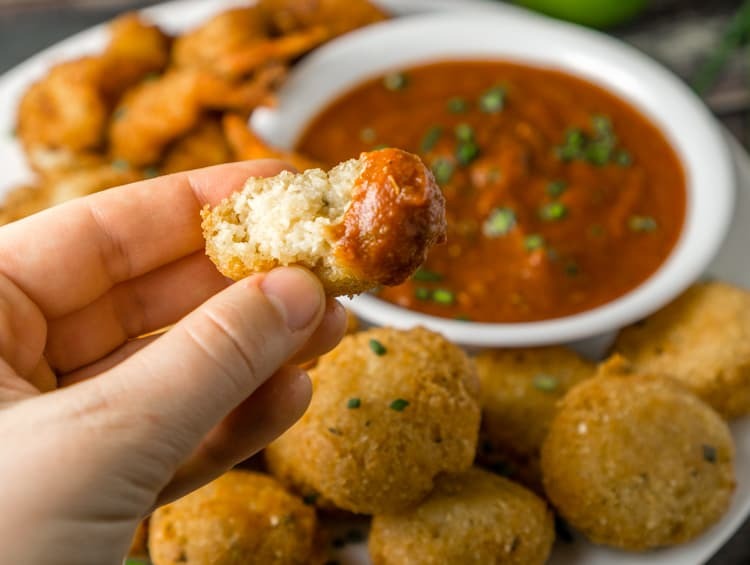 Minimize cutting the okra – if you don’t need small bite size pieces. The slime comes out of the okra as its being cut. Cook okra quickly over high heat instead of longer over low heat. To be honest, I skipped the soaking step – I didn’t have the time – but I followed all the other steps above and this okra came out great! 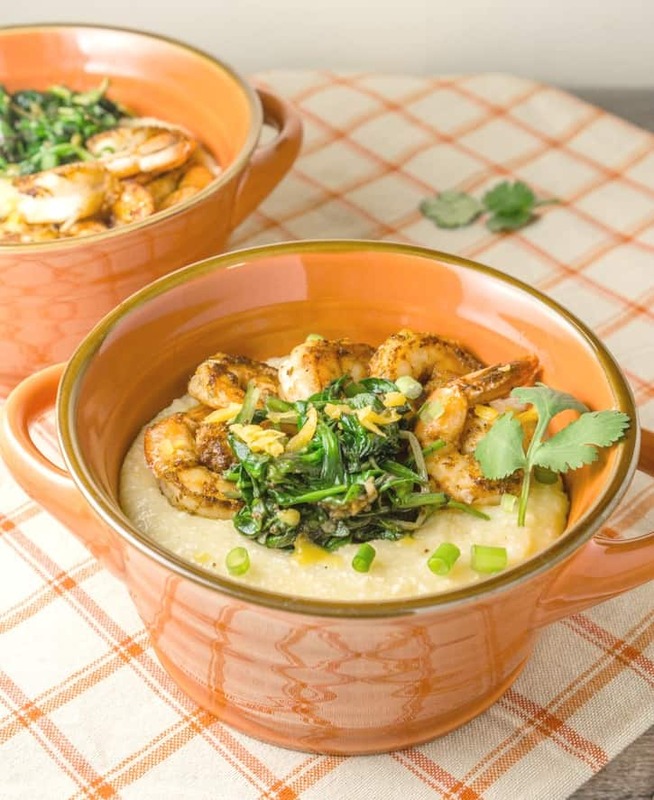 I added Cajun spice to it (I have been obsessed with Cajun spice lately – hence the Cajun Shrimp & Cheesy Grits recipe), and the okra was quite delicious. 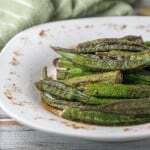 If you have never cooked okra, I encourage you to give it a try! 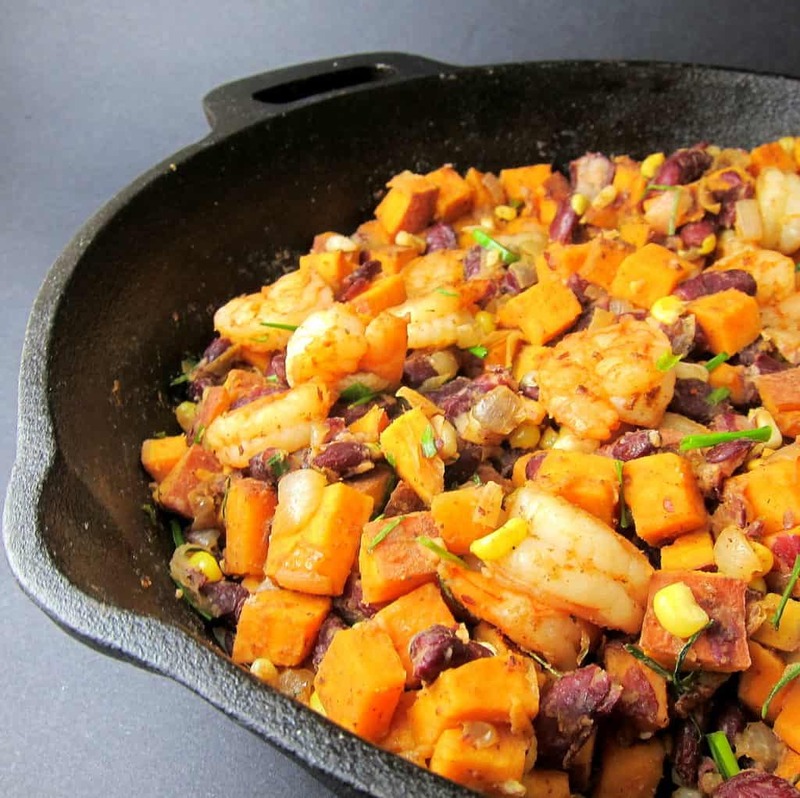 It might end up being a nice addition to your rotation of side dish vegetables. 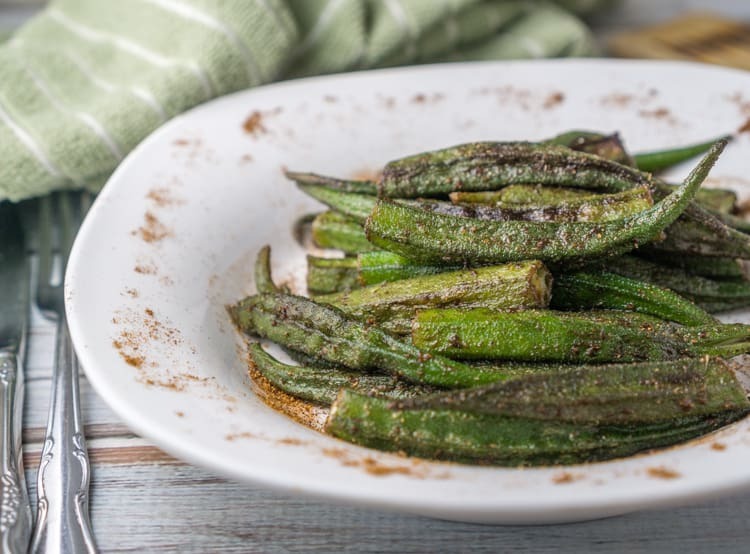 A 20 minute side dish recipe of Roasted Cajun Okra - delicious and healthy. Preheat oven to 425F. Spray a medium baking dish with non stick spray. Rinse the okra and let it dry completely and come to room temperature. Slice the ends off the okra. Toss the okra with olive oil and then with Cajun spice. 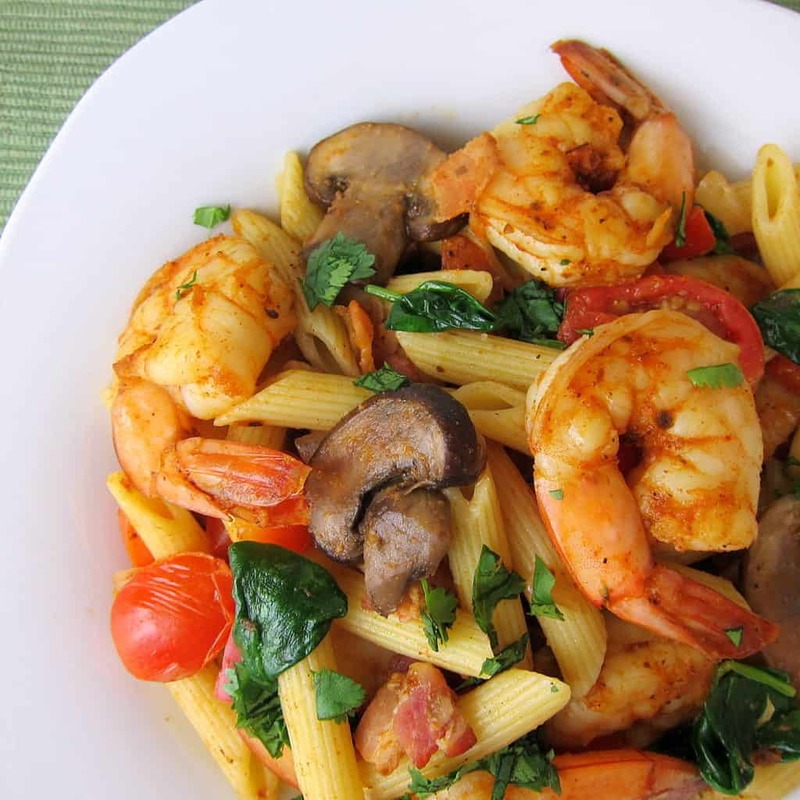 Season with salt if your Cajun spice does not contain salt. 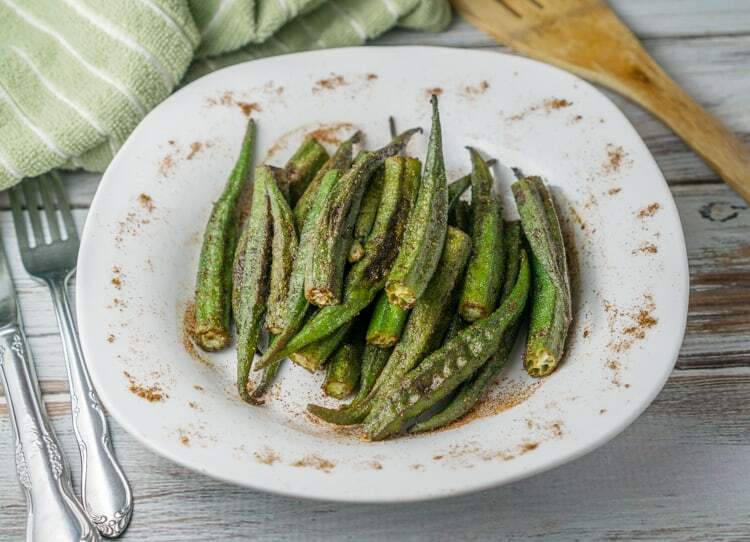 Roast the okra for 11-13 minutes, tossing halfway through so that the bottom does not burn. 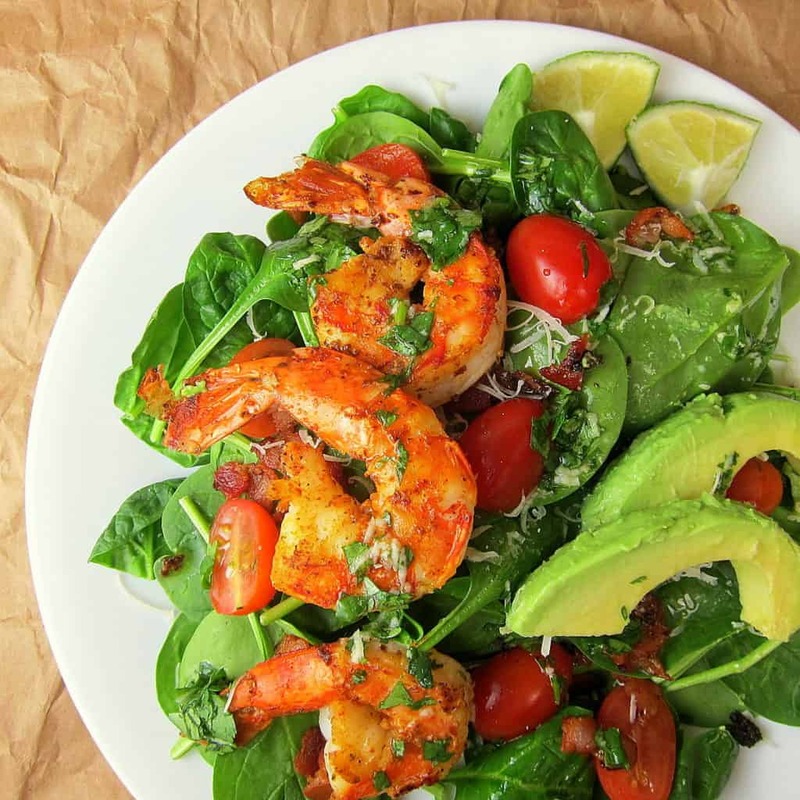 Before you go, check out these other delicious Cajun inspired recipes! Thanx for another fantastic idea dear Kate!